I’m not a prolific songwriter; but I’ve managed to write a few good songs. Some songsmiths can sit down and say to themselves that they are gonna write a song, and they do — just like that. With me, the song has to “come to me”. Or I need to be really inspired by something. In 1984, I managed to write the motivational song, “So Ready To Go”, which hopefully you just listened to. My late wife, Sally Jo Davis, and I included on our first album. After playing together in our Spirit Ridge folk duo for two years, we decided it was time to go into the studio. Indie groups were making cassette albums, as CD’s were a new thing, and too expensive. We recorded the album live in the studio. On the song, “So Ready To Go”, I played lead acoustic guitar and sang lead. Sally Jo played finger-picked acoustic guitar and supplied the backup vocals. 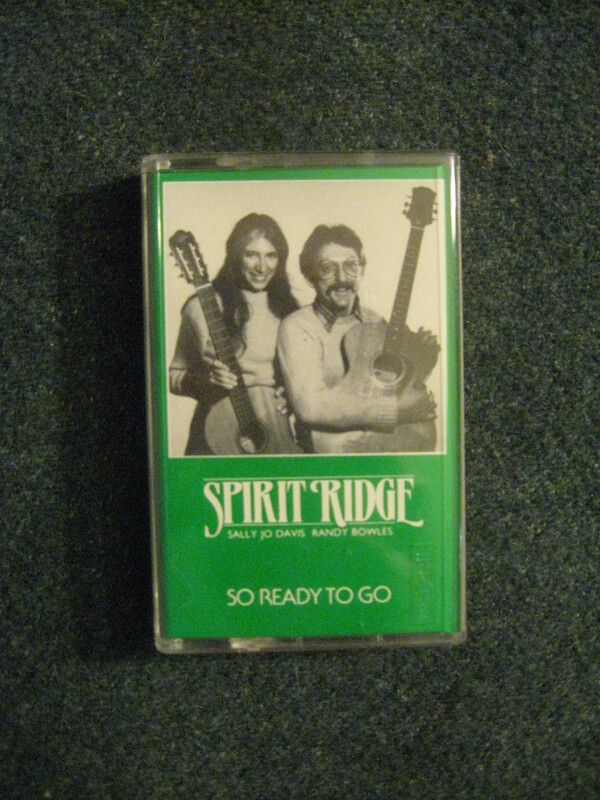 When we were through with our recording project, we decided to name the album “So Ready To Go”, after the song. We were expressing our readiness to make our mark on the Seattle, WA and Northwest folk music scene. Our little cassette album wound up receiving a “Nammy” nomination from the Northwest Area Music Awards, in the Folk Album of the Year category. It lost out to a much more well-known group’s release. But SJ and I felt like we had indeed, made our mark. Here is the story behind the song, “So Ready To Go”. In 1984, my favorite neighbor in my 1920’s-vintage Capitol Hill apartment building said she wanted to introduce me to her friend, “Jacque”. Since my neighbor was so nice, I knew anyone she wanted me to meet would be well-worth meeting. So, I said, “Sure”. 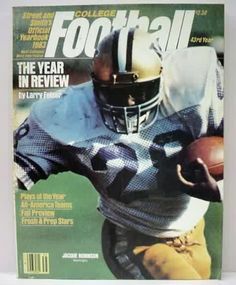 Well, a couple of days later, when she and “Jacque” walked into my little apartment, I immediately recognized him as Jacque Robinson, the University of Washington Husky tailback. 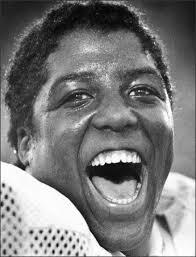 Jacque was a very determined, gifted football player, who garnered a copious amount of column inches in our local newspapers. I surely did know who he was. Having met many Seattle Seahawks and Seattle Mariners, through various bands I played in (we performed at their events), I had experience at rubbing shoulders with successful sports players. Upon meeting him, it was obvious to me that Jacque had the unique personality of a winner. Jacque and I clicked. I found him to be kind, positive, funny, a great conversationalist. Jacque and I had several visits over the months, in my studio apartment. 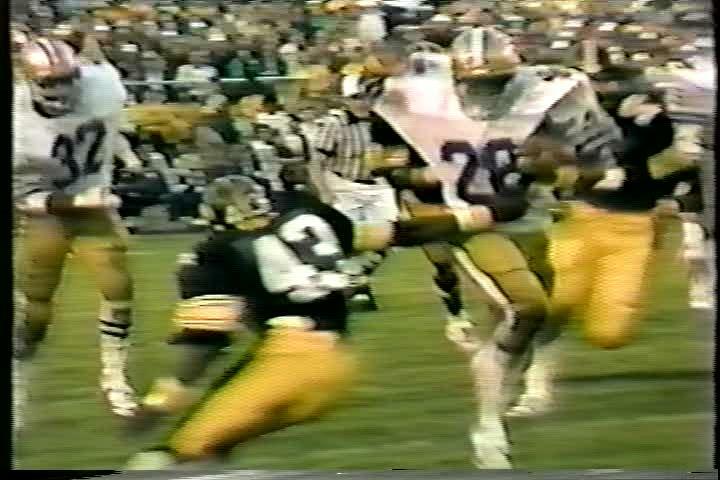 (One time, Jacque brought a Husky lineman teammate with him. The guy literally dwarfed my refrigerator! But he was a gentle giant.) — As the months went on, and Jacque’s 1984 football season advanced, he had more and more success at running the football. And the Huskies accumulated a great win-loss record that year (they finished 11-1). It became obvious that Jacque and his team were going to be invited to a post-season bowl game. 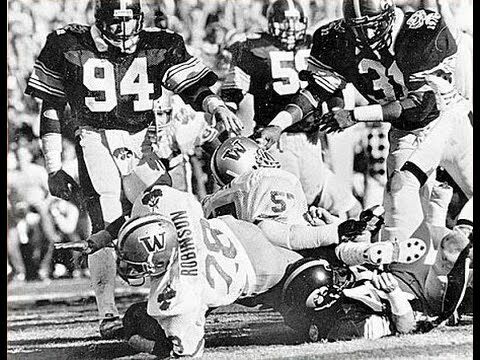 There were a lot of excited folks in the Northwest, when it was announced that the Huskies would be competing in the Orange Bowl in Miami, FL on New Years Day, 1985, against the Oklahoma Sooners. They were the first Pac-10 team to be invited to play in the Orange Bowl. 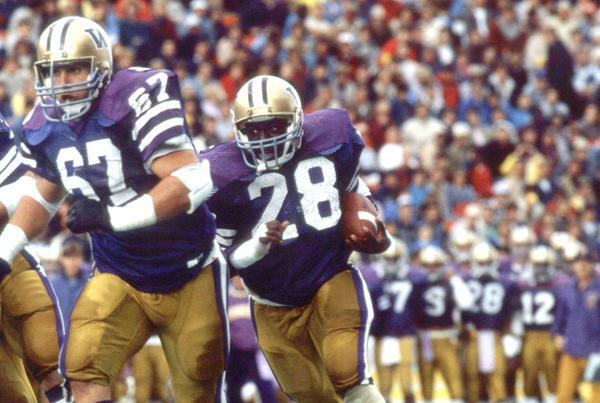 According to a 1992 Seattle Times story, Jacque made a lasting impression during his freshman season when he was named outstanding player of the 1982 Rose Bowl, which the Huskies won over Iowa, 28-0. 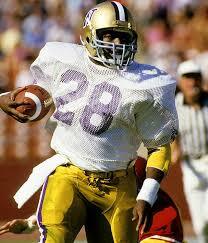 As a sophomore, Jacque led the Pac-10 in rushing in 1982. He rushed for 926 yards, and was named to the all-Pac-10 team. Getting back to the 1985 Orange Bowl: I was an enthusiastic, daily reader of the Seattle Post-Intelligencer (aka PI) sports section. — The PI print edition is no more; I miss it to this day. I miss the great writing; the excellent local coverage — including the sports coverage. But one day, not long before Jacque and his Husky teammates were to fly to Miami to compete against the Sooners, I read an interview which the PI conducted with him. Their sportswriter asked Jacque if he was prepared for the Orange Bowl. Jacque replied, “I’m ready to go. So ready to go”. — Well, a light went off in my head. I said, “There’s a song. And I’m gonna write it for Jacque”. I then had one of those rare moments where I was able to sit down and hammer out a song in about a half hour. It felt as if I was simply catching words out of thin air. Once I got them arranged on my notebook paper, I grabbed my acoustic guitar; and before I knew it, the chords fell into place. I quickly recorded my new song, which I called “So Ready To Go”, onto a cassette tape. And the next time I saw her, I let my neighbor know I had written a song for Jacque. Well, a few days later, she and Jacque stopped by for a visit. While they sat on the couch, I played the song live for them, using just my guitar and voice. And they both cried. Seeing them cry, it was all I could do to get through the song without tearing up. 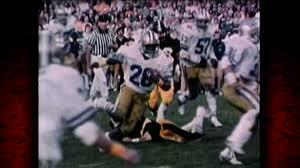 Afterwards, I gave Jacque a copy of my cassette recording, and wished him luck in the Orange Bowl. The next (and very last) time I saw Jacque, I was able to shake his hand and congratulate him for being named the Orange Bowl’s Player of the Game — a game in which he rushed for 135 yards and scored a touchdown. I’ve never seen him since. Many years later, in 2013, I attended Seattle’s famed Bumbershoot Festival. I was in the audience when an excellent, well-known Northwest gospel choir performed on the Mural Amphitheater stage. The choir director asked people to sing along on a Great American Songbook number, “Somewhere Over The Rainbow”. From my spot in the crowd, I started echoing her. We did a call and response. Pretty soon, it was just the director and me, singing a duet — her on stage, me in the audience. We had ourselves a moment. At the end of the song, my good friend I was at the concert with, who really, really knows music, said, “You should work with them”. I contacted the choir director, and guess what? She wanted to collaborate! In January of this year, I was finally able to send her a CD of “So Ready To Go”. You see, it took 28 years to get the cassette album transferred to a CD. I’m hoping to either license the song to the choir, so they can do it on their own, or to actually perform it with them. We shall see…. My thanks go to my buddy Tim Gassen, who did the cassette to CD conversion. 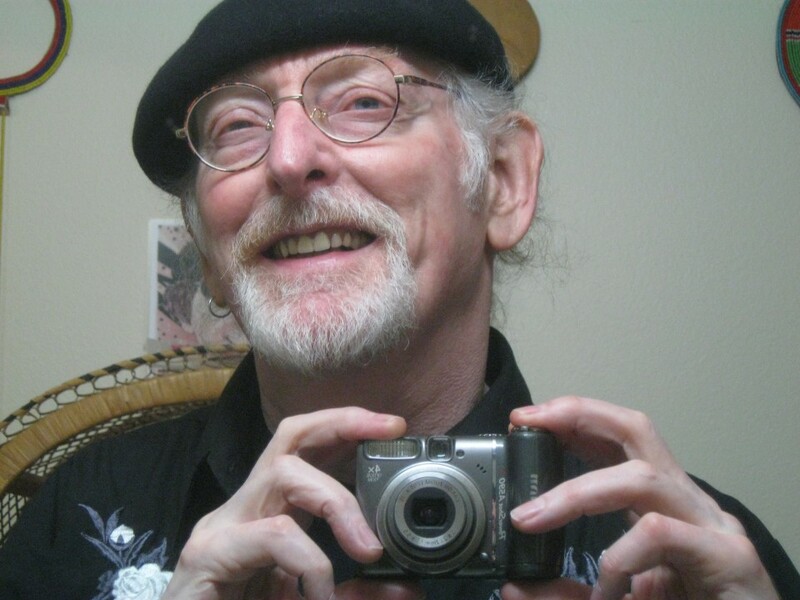 And, my humble thanks go out to my surrogate nephew, Peter Garami, for making the YouTube video for me. Peter has helped me with several projects. He’s “so ready to go”!